1. Filipino's are globally known for their culture - hospitable tayo! A character of being a filipino wherever he/she is. Just to mention. Such quality marks as indelible to every filipino - the so-called foreign observation. Sa tagalog - masarap 'yong pritong tapa - bagay sa itlog at sinangag - tapsilog. No reason for one to be proud of being it - tunay na pilipino.Kayumanggi ito. 2. 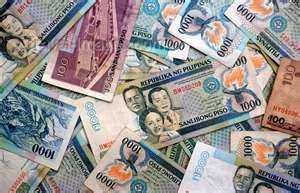 On the other hand, as part of imperfection, filipinos are marked of being: Money Magnets. When they have the money - they just want the world dance, they forget about the price tag. 3. Because of money, corruption is present to those who are in the position - it ain't about the cha-ching, cha-ching. 4. Hell yeah, atrocities existed because of money - it ain't about the ba-bling, ba-bling. 5. Money can prove who you are - Proclamation of a non-elected official to its position - look at PGMA, Migs and the rest of it's friends. 6. Money can even change. 100% change! From pre-owned to brand new. Mike Arroyo attests - That's true! 7. Damn, that money - it makes the world dance, yeah! You see, Garci gracefully danced! Until now, he still know the steps. 8. But, one thing hard for money to move - spinal operation! It takes more than once or even twice. Well, we call it the PRIZE! Now, Gloria got her prize! One sad thing about it, if you don't have money, even your relatives don't recognize you. Thats a big B*LL SH*T! Praising mammon equates serving the other god, the devil.